Angelo Venardos is a Director at FC Lawyers. He is a Solicitor of the High Court of Australia and the Supreme Court of Queensland. He holds both a Bachelor of Laws and a Master of Laws from Queensland University of Technology as well as a Graduate Diploma in Business Administration (Executive) from the Mt Eliza Business School. Since being admitted to practise law in 1991, Angelo has practised in the private, public and not-for-profit sectors and, in doing so, gained an exceptionally diverse range of experience and expertise. Within the private sector, Angelo has acted in many complex disputes and transactions for a broad range of clients. Within the public sector, Angelo has held senior positions with the Australian Securities & Investments Commission and the Queensland Police Service and, whilst within those roles, been involved in some of Australia’s most contentious and highly publicised matters. For a number of years until recently, Angelo also held the role of General Counsel within CareFlight Group Queensland, an iconic Queensland organisation whose core business is RACQ CareFlight, a not-for-profit community helicopter rescue service. Angelo has also worked extensively in academia and is currently a member of the academic staff at Griffith University (Nathan Campus). He has been a member of the academic staff in the Faculty of Business at the Queensland University of Technology and in the Faculty of Law at the University of New South Wales. He has also facilitated training programs nationally and internationally for a variety of organisations, including regulatory bodies and law enforcement agencies. Angelo has many sporting and other interests. 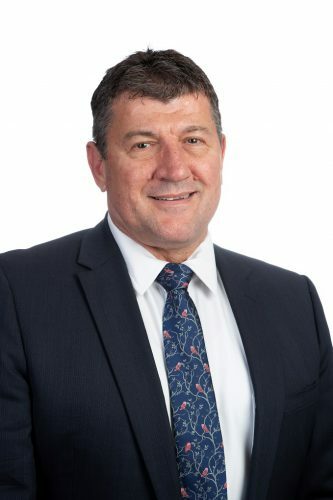 He has been a team manager at the Brisbane Broncos Football Club and was an inaugural member of the Queensland Board of the Men of League Foundation. He is currently a member of the National Board of Bravehearts. One of his passions is cycling and he has undertaken many Tour de Kids cycling events, a 7-day 1000 km charity ride which assists the wonderful work undertaken by the Starlight Children’s Foundation.